Weather in Ashtanga Vinyasa or Power Vinyasa, Michael’s unique teaching style makes Yoga’s transformational powers — physical, mental and spiritual — available to all. He has imparted both of these styles by training over 500 teachers worldwide in his Teacher Trainings since 2002. 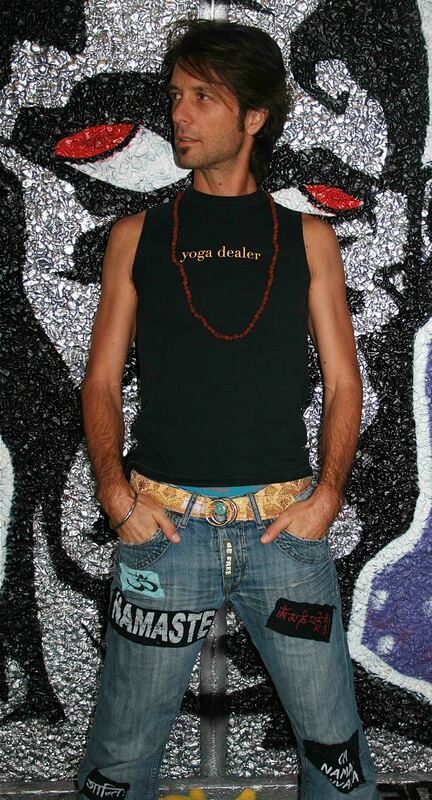 Michael founded the Yoga Dealer brand in 2005. He has also created the instructional breathing audio program, “Awaken Your Life Force and Quiet Your Mind”, three DVDs “Opening Your Lotus — Elements of Sitting” , “Opening Your Heart — Elements of Backbending”, “From Earth to Heaven”, and three Yoga practice posters used by practitioners around the world. 2011 brought “Ashtanga Yoga with Michael Gannon”, the first Ashtanga Yoga app for the iPhone / iPad / iPod Touch and Android. Oh yeah, and in late 2013, Gannon shocked the yoga world by designing and building one of the most beautiful new yoga schools on the planet, Yogaloft Playa del Carmen. His first book, “Ashtanga Yoga Made Simple — A Practice for All Levels”, was published in 2018.